Spring is right around the corner which means 2019 is almost in full bloom. 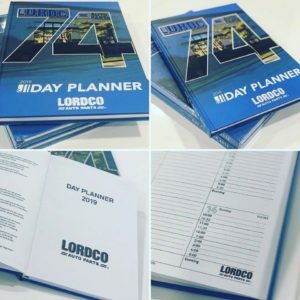 Bearing in mind that we’ve got some exciting new projects on the horizon here at Torque Branding…we feel it’s a great time to get some inspiration by taking a quick look back at some of our fav promo products from 2018. Personalized Day Planners with all the details – custom designed covers, inside messages and calendar pages. No element was overlooked — even the printing techniques were customized for the creation of these day planners. Class & sophistication combined with impeccable design. When choosing what to give for employee recognition and gifts, you want something that makes a statement. 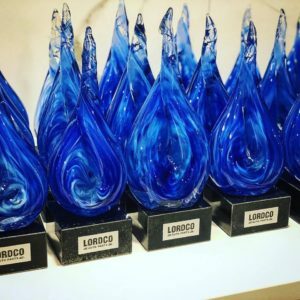 We love how these hand blown glass sculptures (custom created in Lordco’s corporate colours) turned out! 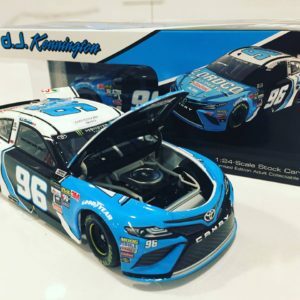 Check out these awesome (1:24th scale) custom diecast cars! 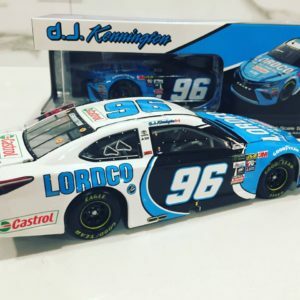 We produced this epic merch for our amazing clients, Lordco Auto Parts and Castrol Canada, as they entered last year’s Daytona 500 with a car piloted by fellow Canadian, DJ Kennington. 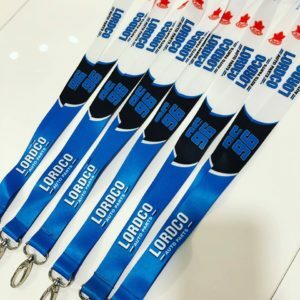 Also for the 2018 Daytona 500 – we produced these custom lanyards for Lordco Auto Parts and their sponsored Canadian driver, DJ Kennington. Quality and comfort combined with great style! 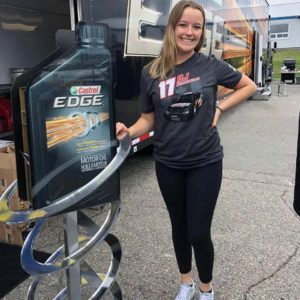 We love how these two custom designed, high quality Tee’s turned out for our clients Castrol Canada, Lordco Auto Parts and pro racer DJ Kennington. Prestone Command showed its love and appreciation for their customers with these custom Belgian Chocolates. 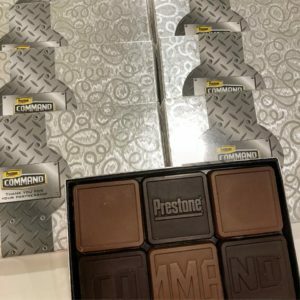 Prestone’s logo is highligted on both the chocolates and packaging. Who doesn’t have a sweet tooth? Your clients will love these creamy, luxurious and delicious chocolates! Take Command of your music with Bluetooth speakers. 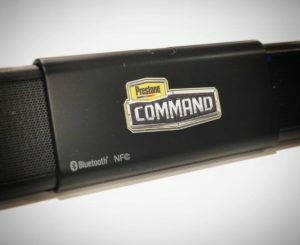 We customized these wicked speakers for our client Prestone Command. The sound is clear and the bass is booming. Rock on friends! 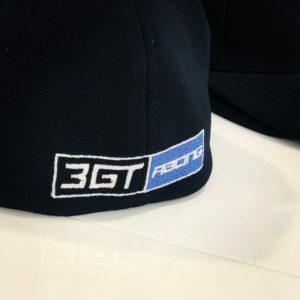 These hats we made for racer (and our President, Mark Mullens’s buddy) Kyle Marcelli, of Marcelli Motorsports are swaggerific! The FER-PAL and 3GT RACING logos turned out amazing, and looked super slick on the track. 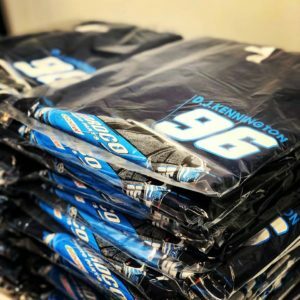 Hard working race teams need the best race shirts. 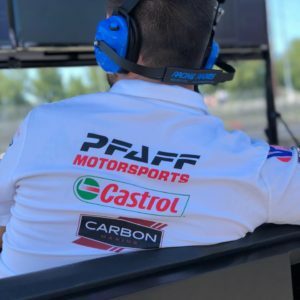 The PFAFF Motorsports team looks amazing on the track and in the pits in the team gear we produced for them. Want your team to look this good???? Give us a shout. You never know what the weather gods have in store on the track. 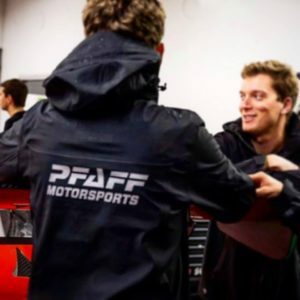 That’s why we custom created these 100% wind and waterproof jackets to keep the PFAFF Motorsports Crew unaffected by the elements. 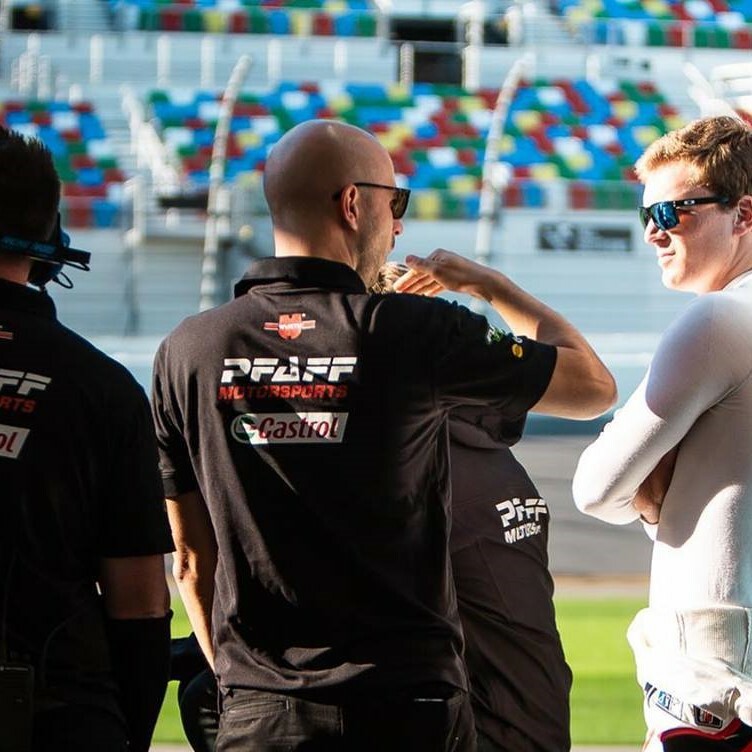 We had the back logo designed in “3M reflective” for added night visibility and safety during endurance races. All in all, the team looks fierce and are 100% protected. 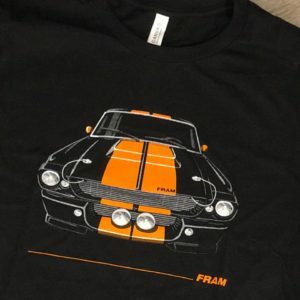 Seriously, who wouldn’t wear these sweet custom designed FRAM ‘68 GT500 Tee’s?? 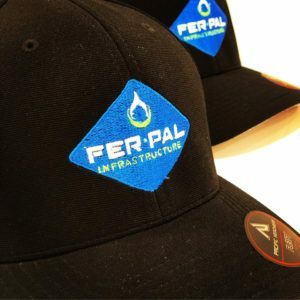 We’re thrilled with how these turned out for our client FRAM. The divine is in the details. 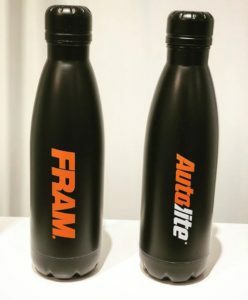 This time last year, in prep for upcoming warm & sunny days, we created these slick custom double-walled, copper insulated water bottles for our client FRAM and Autolite. 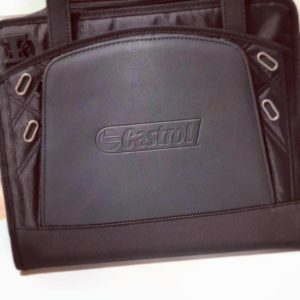 A debossed logo into a fine leather panel puts these custom Padfolio’s for Castrol Canada on point. Corporate gifts should be useful and highlight your brand. Let’s guarantee your personalized promo products make a statement! We love the winning design of these black jackets with crisp white detailing. We customized these beauties to keep our clients and friends on the HPA Motorsports team looking polished and ready for success. 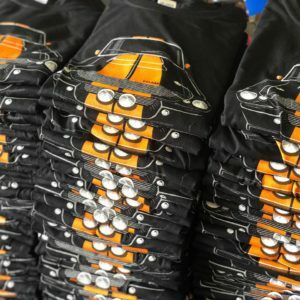 Are you ready to start your new custom project? Torque Branding is a promotional product & marketing agency that takes pride in formulating fresh, strategically branded solutions for our clients. 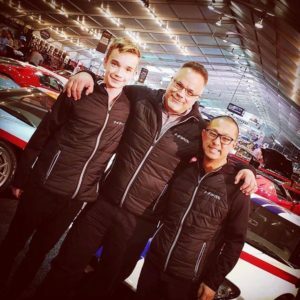 We’re dedicated to understanding each of our clients unique markets and organizational needs, so that we offer the best and most innovative solutions…every time. 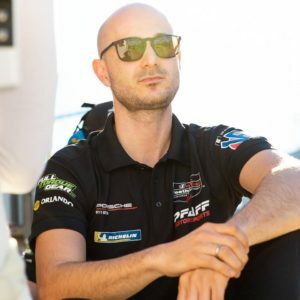 Contact us at sales@torquebranding.com or (604) 510-1075 for a free consultation. Fall 2018 Custom Promotional Gifts – Give Your Team and Clients Tools to Stay Snug & Dry this Autumn!